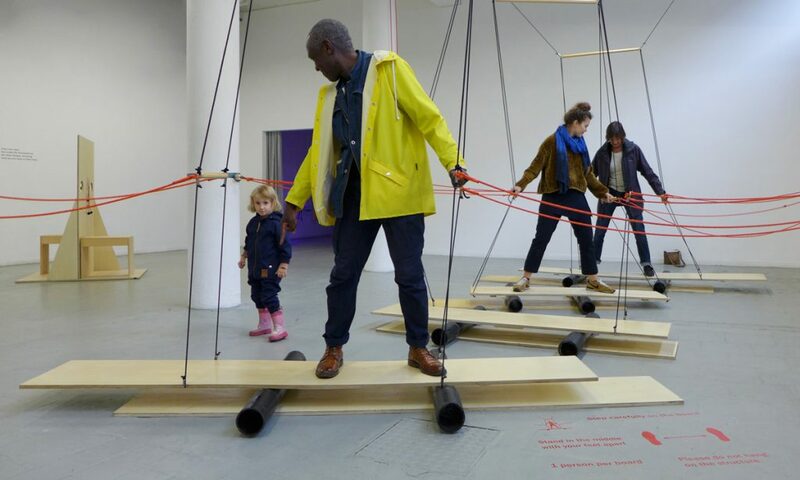 Stepping onto rolling platforms and holding to the system with their hands, visitors are connected through an elastic net, where one can feel, interfere and influence each other. 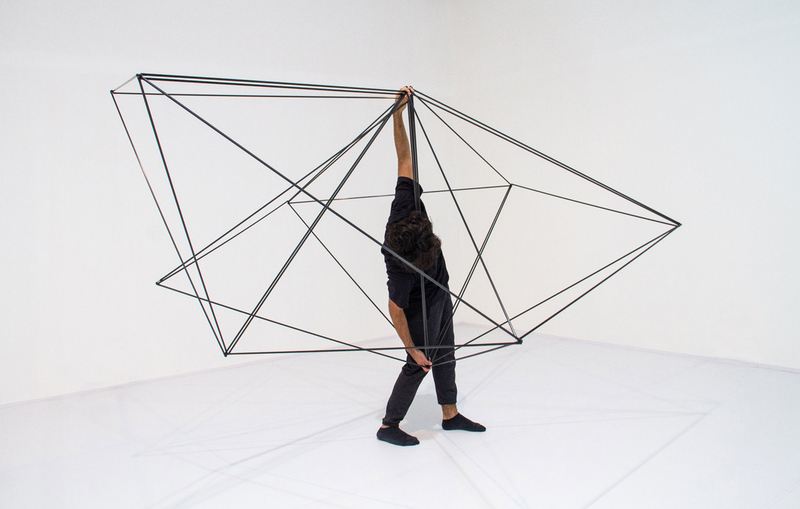 The work explores social behavior, where visitors are activated and begin to communicate and negotiate space in motion. 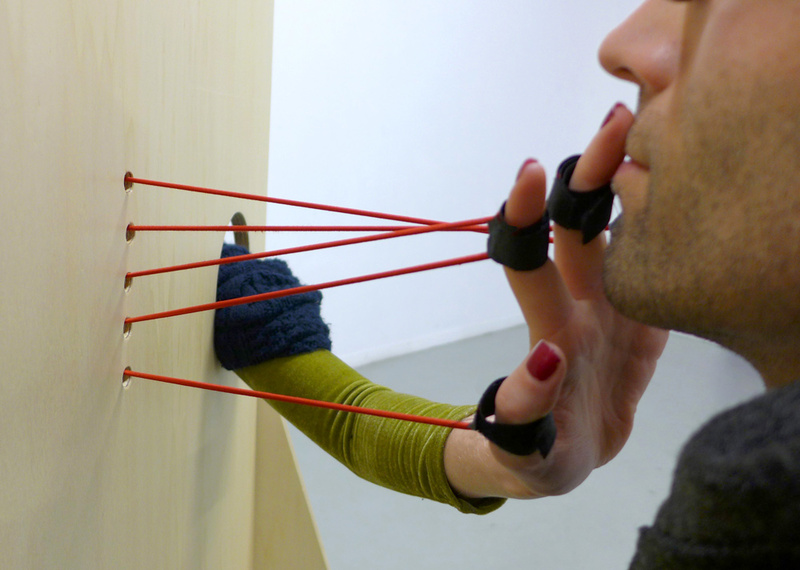 In September 2017, Ludmila Rodrigues exhibited a new version of Flexor, during Performance, Objects, Bodies, at Quartair, The Hague. Due to its site specificity, Flexor, was adapted to take advantage of the existing pillars of the exhibition space. 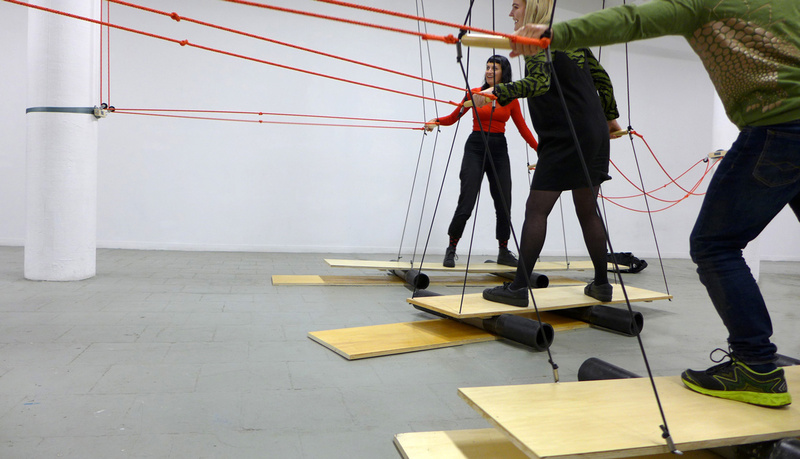 Performance, Objects, Bodies was first presented in an ‘open-lab’ format, during which four artists worked in parallel at Quartair, developing and testing new ideas. At the end of each week, visitors were invited to come and participate in the artists’ process. 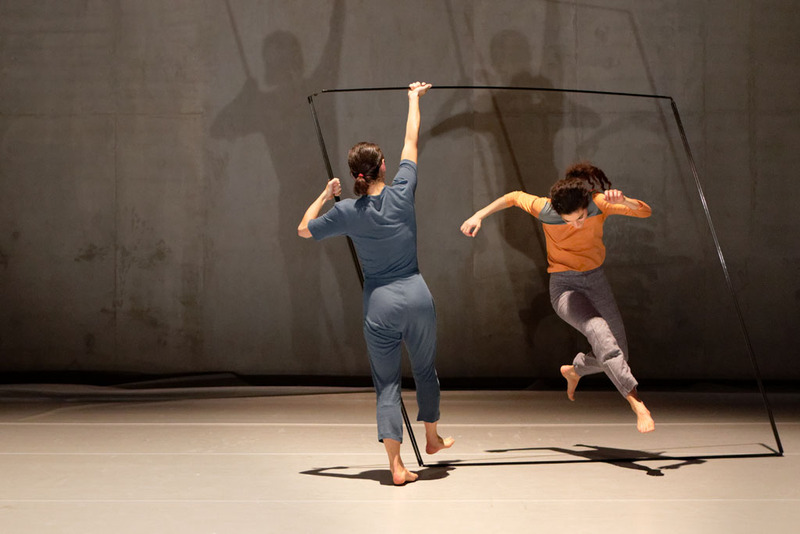 Presented from September 15th to October 7th, 2017 (including Hoogtij evening, on September 29th and TodaysArt Festival, September 23rd-24th). In The Hague the show was part of a larger program, Connect the Dots, which included a symposium and a performance evening at Korzo Theater. The works developed by Ludmila Rodrigues and Marit Mihklepp during this exhibition were then presented at TETEM, Enschede from November 16th, 2017 to January 28th, 2018, curated by Matteo Marangoni (iii). Thanks to Stroom Den Haag, iii, Ella Buzo and Petra van der Schoot.